Favorite thing about hockey: I love how fast paced the game is. It’s so much fun to watch and it is so easy to get caught up in fans and the fun of the games! Favorite food: Cuban food! I’m fully Cuban and I always crave homemade black beans and rice! The Lightning keep winning on their race to the April NHL Stanley Cup Playoffs. Great support from the “fan favorite” Lightning Girls. Enjoy some photos from the recent victory shoot-out over the Montreal Canadians. Hopefully you saw our interview yesterday of the talented Lightning Girl Taylor. Here’s some of the other squad members on game day. 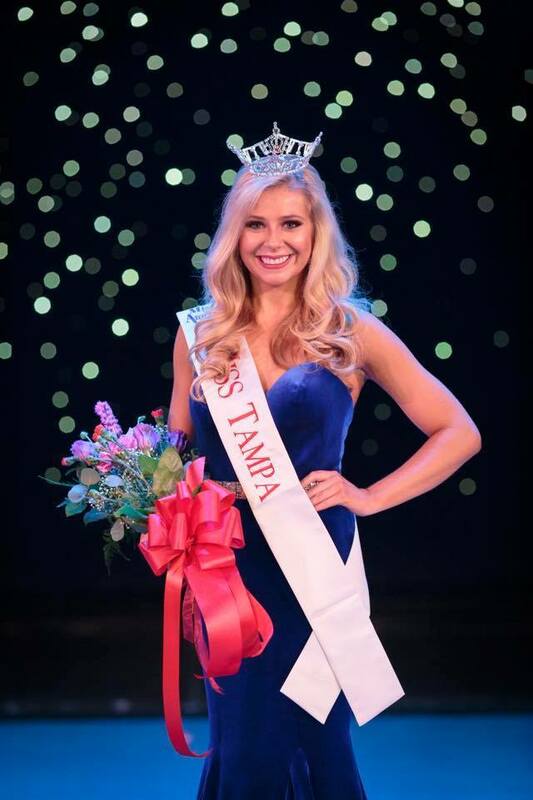 Tampa Bay Lightning Girl Taylor Lokey walked away with the crown at the Miss Tampa Scholarship Pageant this month. She was gracious to sit for a quick talk with us at a recent Lightning game (in between goals of course!). UC: Hello Taylor, welcome to Ultimate Cheerleaders. Before we begin our chat why don’t you tell our readers about yourself. Absolutely! I’m twenty three years old and this is my rookie season with the Lightning Girls!  I am originally from Maryland and graduated from The University of Maryland, College Park with a degree in communications and public relations. I worked in sales for about a year and am now studying to take my GRE to attend graduate school! Moving to Tampa was a spontaneous decision that I made about six months ago and I have been loving it ever since! UC: Please share with us the highlights of your busy year. Representing the Lightning and now the “Miss Tampa Scholarship Pageant”. WOW, busy young lady. It’s definitely busy but I wouldn’t want it any other way! Being involved with the Lightning Girls and now as Miss Tampa is really giving me a great opportunity to become involved and grow with our community. The lightning is hoping to have a long season, but before that we still have about 14 games left to cheer at! I will be balancing those games and other additional lightning girl appearances with my preparation for Miss Florida and volunteering at community service events as Miss Tampa. The Miss Florida Pageant takes place the week of June 30th in Lakeland, FL so there is still so much preparation to be done. Luckily, I have great time management skills and such a wonderful support system behind me to help keep me motivated and balanced during this busy time! UC: The Lightning organization is always involved in charity and community initiatives. Tell us about your favorite participation and your platform for Miss Tampa. We truly are one of the best organizations in all of sports for that reason! My favorite memories so far have been attending charitable events on behalf of the lightning and spreading joy to as many people as possible. One of my favorite events so far with the Lightning was with the Walk to End Alzheimer’s. It was such an incredible, uplifting event to be apart of and running the dance floor and hula hoop contest with one of the other girls was so much fun. It amazes me how one small interaction with someone can bring so much happiness to them. It’s humbling to know that you were the one to make a little girl or a little boys day just by giving them a high five or saying hi! My platform as Miss Tampa is called “Lend a Hand; Heal a Heart.” My platforms main goal is to advocate for victims of sexual assault and abuse, specifically with children. I’m very passionate about this topic as I have volunteered for the past 8 years as a crisis call taker and patient advocate at multiple women’s shelters.Right now, more than ever, is a great time to get the word out there that it is okay to speak up, get help, and seek justice. My mission is to let every survivor out there know that they can use their voice and will have people on their side. It’s so important. UC: It’s a great honor to be part of a small sorority of NHL cheer/dancers and now add in Miss Tampa activities. How exciting is that combined experience? It’s very exciting! There’s not many opportunities where I am able to combine my love for cheerleading and the opportunity to make a difference in the community. 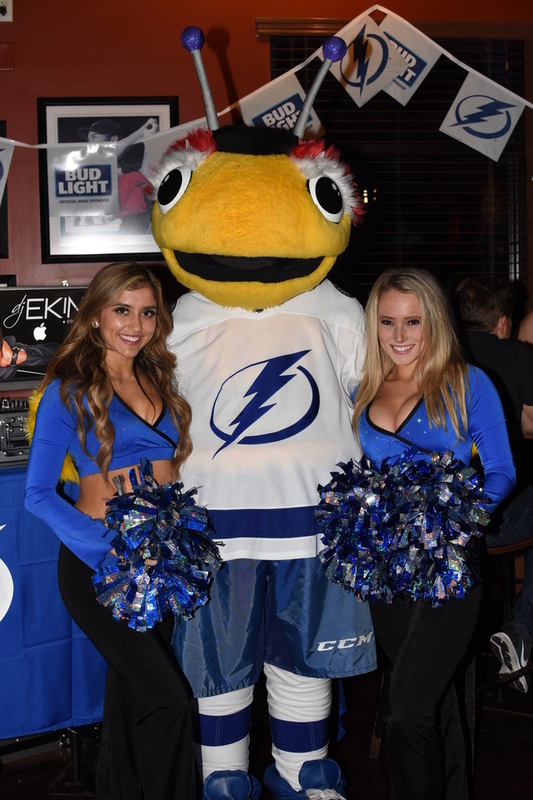 It’s really neat to see that some of the appearances I will be doing as Miss Tampa will have the Lightning Girls there and it’s a really unique way to make an impact in a greater way. I also feel it’s a great way to promote both organizations! Everyone is always asking “Miss Tampa” where she works and being able to tell them the Lightning is fantastic! It makes me feel even closer to the community because we all know that Tampa is a hockey town! UC: One thing fans would be surprised to learn about is ….? I have a story for you all! I mentioned earlier that I made a spontaneous decision to move to Tampa about six months ago. Most fans would be surprised to learn that I made that decision after coming on vacation to Tampa in July! One of the other Lightning Girls, Morgan, and I saw that the lightning girls were having auditions and decided to try out on a whim. By our surprise we both made it and moved down here in about a week! It was quite the adventure but it has been so worth it! UC: Thank you Taylor, you are a very impressive young lady. We are glad you gave up the beach on vacation to go Ice Skating, Tampa Bay is lucky to steal you away from Maryland! Lightning Girls Captains, Liz and Alyssa.